George and Martha Washington’s journey together began after Martha’s first husband died, July 1757, leaving her a very wealthy widow and mother of four children. The earliest written record of George and Martha’s connection appeared the following year (March 1758) when George wrote a note to his servants in his financial records after remarking on a visit to the widow Curtis (Martha’s married name). a true love story as George wrote to an acquaintance that Martha was “an agreeable partner.” Not exactly a loving endearment, but soon that would change. 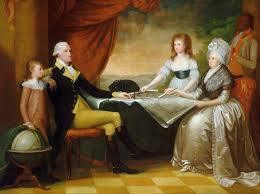 By the end of 1759, the new blended family of George, Martha, and her four children had moved to Mount Vernon. This move was a step down for the uber-wealthy Martha, but she soon adapted to the smaller estate, and she and her children lived contently and in comfort. After moving to Mount Vernon, George wrote his English agent and expressing his excitement to enter retirement with Martha. He wrote, “I hope to find more happiness in retirement than I ever experienced amidst a wide and bustling World.” If only he knew what his future held. His world would become so much more “wide and bustling”. Martha ordered the burning of all personal correspondence after George’s death. A common thing for those days. There are three known letters that escaped destruction, one was reportedly found behind the drawer of Martha’s writing desk, possibly by her granddaughter. In the letter George expresses his apprehension and anxiety “on a subject which fills me with inexpressible concern - and this concern is greatly aggravated and Increased, when I reflect upon the uneasiness I know it will give you” It’s obvious that he doesn’t want to cause his beloved wife any trouble. He continues to explain that he’s accepted the potion of Commanding General to the entire army of the new American Cause. The hard-fought victory of the new independent country, United States of America, could have led to a slower paced lifestyle that the Washington’s longed for, but instead George Washington had a bigger roll to play in the founding of the new country’s government . 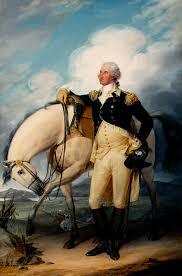 . . First President of the United States. 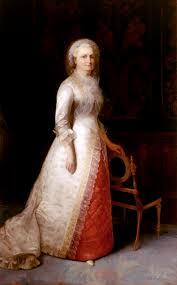 Martha showed her disappointment that their dream of being together at Mount Vernon would once again go unfulfilled, but she committed to stand by her husband’s side as he served two terms as president. And she did. Again, many of George and Martha’s peers would write about the couple’s endearment to one another. 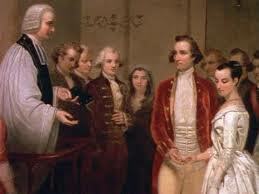 March 15, 1797, the Washington’s finally were able to return to a normal life at Mount Vernon. Though the retirement was short lived when, two years later and after forty years of marriage, George Washington died on December 14, 1799. Martha was heartbroken and reported cried she would soon follow her beloved husband for she had nothing left for which to stay. She died on May 22, 1802. George and Martha Washington’s marriage may have begun as a match made of financial need, but, in the end, the union proved to be one America’s greatest love stories. Do you have your own love story to share? A long marriage, a lost sweetheart . . . Please, leave a comment below if you’d like to share your true love story with all of here at Heroes, Heroines and History. Be blessed and choose happy my friends. Citation: George Washington letter to Martha from June 18, 1775. 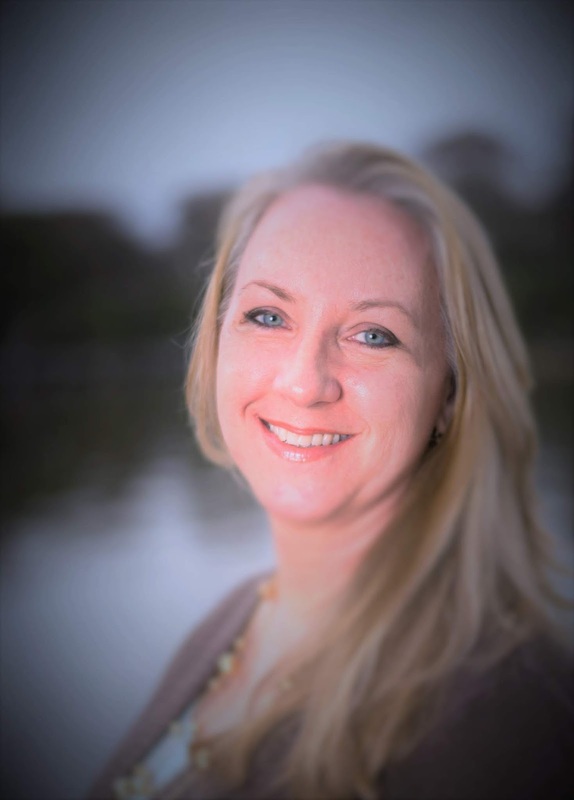 Award winning author, Michele Morris’s love for historical fiction began when she first read Laura Ingalls Wilder’s Little House book series. She grew up riding horses and spending her free time in the woods of mid-Michigan. Married to her high school sweetheart, they are living happily-ever-after with their six children, three in-loves, and ten grandchildren in the sunshine state. Michele loves to hear from readers on Facebook, Twitter, and through the group blog, Heroes, Heroines, and History at HHHistory.com. She is represented by Tamela Hancock Murray of the Steve Laube Agency. I forgot to mention the pictures are beautiful! Informative and interesting post. Thank you for sharing, Michele. The pictures added a lot to the past. Thank you for your post. I think it's a beautiful story. I am fortunate to know many couples who have been married for 50 years or more, and my husband and I have made it to 44 as of this year.